it is even more important for your project to be turned around safely and on budget. The Atlas team can help you achieve your project goals. We will provide the right foundation support product to handle any problematic soil condition. We have a diverse variety of engineered steel foundation support products to provide a solid foundation for your new home to be built on. Like you, we understand the saying that “time is money” and guarantee that our work will be done in the fastest and most efficient manner possible—ensuring that we deliver a quick turnaround on your project. Atlas Piers of Atlanta has got you covered! After you pour a foundation or complete building a home, you generally need a home foundation inspection before you can move to the next stage of your process. Typically, this is required from a legal perspective, but it’s also important from a structural perspective. When you get an inspection, you can rest assured that there are no issues. Then, you can proceed with the rest of your building project confidently, or you can start the process of selling the home. To be on the safe side, you should set up your home foundation inspection with a licensed structural engineer or with a foundation professional who has successfully worked on multiple projects in your condition. The environment and the soil in an area can create unique challenges for the foundation, which is why it’s important to work with someone who understands the local terrain. Ideally, the person should not work for your company or be attached to you personally. That helps to ensure you get a completely unbiased and extremely knowledgeable opinion on the state of your foundation. 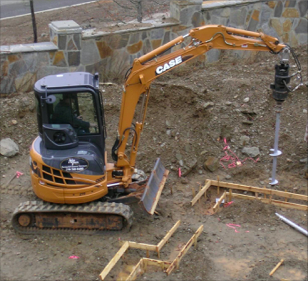 The length of the process can vary, and it tends to take longer to assess commercial foundations than residential ones, but in most cases, you can complete a home foundation inspection in 1-2 hours, including the interview process where the inspector asks questions about your methodology or other concerns. However, the length can also be impacted by the type of inspection you get. Some contractors just need a basic inspection, but others opt for an additional engineering report. During the home foundation inspection, the inspector looks at the structure of your foundation. The inspector checks out the inside and outside of the foundation as well as the surrounding terrain. If the home has been built, they check internal elements, grading, and drainage issues as well. They may also do a floor elevation survey or complete other steps. If you’re concerned about something, you can ask for an inspection of that particular area. By exclusively utilizing the strongest foundation repair products in the industry, we ensure that you will not experience settlement issues in the future. We only use galvanized steel products that are manufactured by AB Chance/Atlas Piers and Earth Contact Products (ECP), the leading manufacturers of foundation repair products in the world. While we do use high quality products, we understand that it is important for our products and services to be cost-effective for our customers. Therefore, we work hard to select the optimal product that provides the most value for your project. Your foundation is the footprint for your new home, and you can trust Atlas to ensure that your foundation is permanently supported and that your foundation will remain strong and stable for years to come. For more than three decades, we’ve worked very hard to build an excellent reputation in the industry. The continued success of our company is dependent upon the success of your project. Therefore, we are equally committed to ensuring that every project is done right the first time. We were the pioneers of underpinning technology in Atlanta from the beginning. We’ve weathered the storms that more than a dozen of our competitors could not. Unfortunately, that has left many homeowners holding worthless warranties. We provide a 50 year transferable warranty. We are a family-owned company, and the next generation will be here for you to back it up. Contact us today to set up an appointment and get both warranty and new construction pricing information. For all your new home construction projects, you can count on the professionals at Atlas Piers. We are excited to help you start your next new construction project. 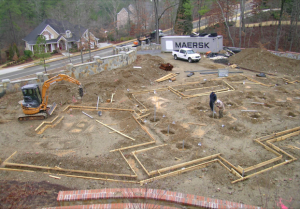 We have worked with Atlanta home builders for years to help them prevent foundation settlement and resolve their warranty issues. We stand behind our work with a fully transferable warranty that beats the standard, so you do not have to worry about foundation settlement problems in the future. Once it’s done, it’s done. Guaranteed.